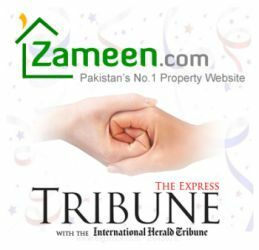 The Express Tribune, which falls under the umbrella of International Herald Tribune, has done two reports on real estate sector of Pakistan with the collaboration with Zameen. Zameen is the prime real estate portal of Pakistan that is known for hosting property listings that are literally miles long. Being the biggest real estate portal in the country, the site has priceless info on the online real estate trends that have been prevailing in the country since 2006. Using a very small chunk of this invaluable information, The Express Tribune published two reports on real estate. One report highlighted the fact how more Pakistanis like to buy land and make their own homes rather than to buy one. “More Pakistanis prefer building a home rather than buying one”, by Farooq Tirmizi, the Head of Business Reporting, was published as the main story in the business section on 8th October 2012 in The Express Tribune. The second report, where Khurram Baig wrote how Karachi real estate is “fast losing ground to Lahore, Islamabad”, was studded with graphs. The pie chart, which comprised of some of the stats Zameen had provided the writer with, shows the difference between the number of people who looked up properties in Lahore, Islamabad and Karachi. Both Lahore and Islamabad attracted more than two million users each on Zameen whereas the number of people interested in Karachi real estate was only 1,498,996 during the first six months of 2012. Both of these reports offer an insight into the realty market of Pakistan and the performances of different cities during H1 2012.